Mr. Albert So, practising solicitor of High Court of Hong Kong and the Chairman of Hong Kong Mediation and Arbitration Centre. Over the past years, he has been responsible for handling financial crime prosecutions, and has also been the lecturer of various law and mediation programmes in Hong Kong and overseas universities. Before Mr. So joined the legal profession, he had been one of the team members of a financial regulatory authority, responsible for conducting criminal investigation, handling litigation and disciplinary-related professional proceedings. Throughout his professional time as a regulator, he had personally handled over 800 financial disputes and their relevant litigations. 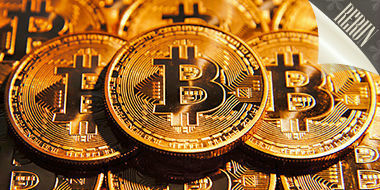 The popularity of Bitcoin has inspired the introduction of other cryptocurrencies and given rise to initial coin (or token) offerings (ICO), which are typically online fundraising activities for blockchain technology-related projects. Although certain ICOs have made the headlines by raising millions of dollars within minutes or hours, from an investor's perspective, participating in an ICO may pose significant legal risks. A combination of interactive lectures, case studies, practical scenario trainings, role-play sessions, group discussion/sharing will be used in the seminar. Upon the completion, participants should be able to acquire the necessary Fintech, corporate finance, legal, compliance and regulatory professional knowledge and identify the common issues to perform their daily duties effectively. Legal issue of "Bitcoin" and concept of "Blockchain"
What is a cryptocurrency or a digital token? Are digital tokens/cryptocurrencies and ICOs regulated in Hong Kong and other jurisdictions? 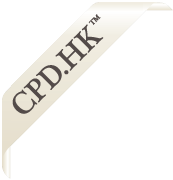 Home > CPD/CLE Courses > Legal Issues of Bitcoin, Initial Coin Offerings (ICO) and Other "Cryptocurrencies"
Home > CPT Courses > Legal Issues of Bitcoin, Initial Coin Offerings (ICO) and Other "Cryptocurrencies"